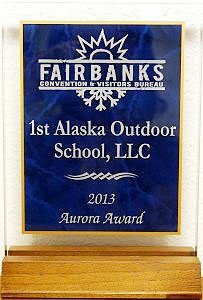 Join 1st Alaska Tours for the Alaska Fishing Trip of a lifetime! Experience World Class fishing on an Alaska Fishing Trip. Your Guided Alaska Fishing Trip begins right at your Fairbanks accommodation, so you don’t need to plan how to get to us and you will save additional taxi costs. A full day of great fun for the whole family or an excellent fishing opportunity for the expert angler. Northern pike and arctic grayling fishing in scenic rivers close to Fairbanks. Your experienced fishing guide will show you the best fishing spots to insure the most success possible. Our one day tour includes a full 8-hour fishing with fly or spinning rods.